NEXT Financial Group Inc.'s ELITE Program has hit a one-year milestone and celebrates success bringing in new advisors to the firm and the industry. This initial year in ELITE has been a very exciting time for establishing this program. Our next goal is to continue fine-tuning our processes and expanding our reach to provide value for ELITE participants and sponsoring mentors. 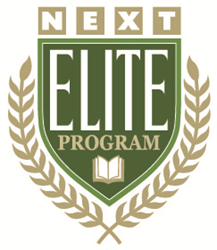 Award-winning independent broker-dealer* NEXT Financial Group Inc. (NEXT) is proud to announce the one-year anniversary of their original development initiative, the Essential Lessons for Investment Training Excellence (ELITE) Program earlier this year. Fifteen months after its launch in 2014, the ELITE Program has enrolled 32 participants in the program, 12 of which are currently registered representatives within the firm’s national network of financial advisors. The program offers licensing examination study materials and monetary assistance to aid participants as they gain licensure to conduct business. Participants are also provided a multifaceted developmental track to gain industry experience including introductory curriculum on broker-dealer support provided by NEXT and hands-on mentorship from a seasoned NEXT Representative as the participant works in their office. Program progression is supplemented with a sales process training course provided by industry leading professional development firm, The Sequoia System. NEXT Financial Group Inc. is a Division III broker-dealer servicing approximately 750 independent financial representatives throughout the country. The firm was voted Broker-Dealer of the Year* by its representatives an unprecedented eight times and continues building upon their unique culture to better serve the needs of independent financial professionals and their customers.